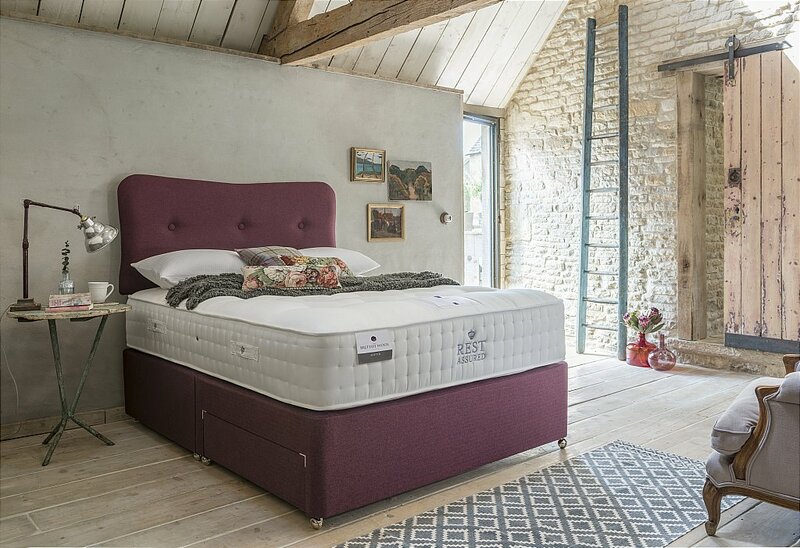 Each divan bed in the collection includes a mattress with 3 different choices of comfort rating: soft, medium and firm to give you truly tailored and personal comfort and support from tip to toe. With its subtle curve and buttoned detail, the Austen headboard makes for a classic addition to any bedroom. It comes upholstered and available in six stunning wool effect fabrics with or without storage. I would like more information about Austen Divan Bed by Rest Assured.